"An investigation has been launched following the events that occurred this morning at our police station in Cornella in order to clarify the reasons for the attack," the statement said. Anti-terrorism police sources said the man, a 29-year-old Algerian who lives in the area, had shouted "Allahu akbar" (God is greatest) as he entered the station. The central government's representative in Catalonia, Teresa Cunillera, told public radio Monday that "it was very difficult to draw any conclusions" until police had finished their investigation. 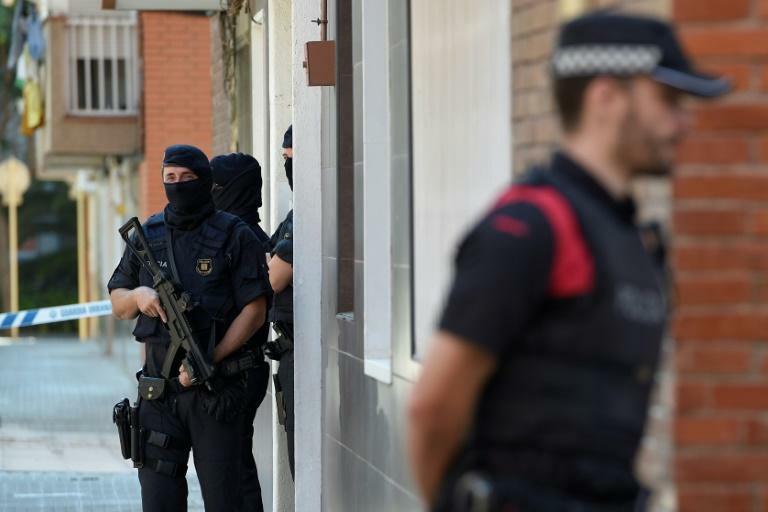 The Islamic State group claimed responsibility for the attacks, Spain's worst since the Madrid train bombings in 2004, in which 191 people died and more than 1,800 were injured. Catalonia, which is home to a significant number of second-generation immigrants, has seen a long history of Islamic militant activity.